Busy week for Council meetings! 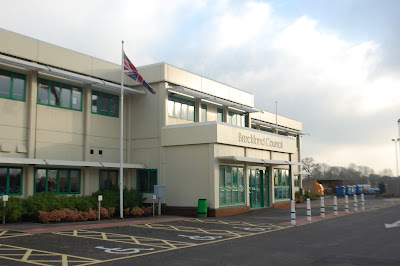 Today was Breckland Council budget setting and Council Tax meeting. Here's the key points raised by myself and fellow Labour Councillor Harry Clarke. Firstly, I feel Breckland has been quite risky but also quite fortunate in relation to Council Tax. Not increasing it previously and taking advantage of the Freeze Grant has resulted in the Government effectively paying a greater extent for services locally than they might otherwise have done so – this is something we would of course welcome. But the Council has been lucky this year that when additional money is needed that they’ve been able to increase by greater than 2% to offset the fact that the baseline figure hasn’t risen over previous years and with the freeze grant not available it makes sense to increase. Even with this increase there are savings that need to be made and the Labour Group has been actively supporting the transformation programme. Whilst politically it would be easy to criticise a Breckland increase in Council Tax of such a percentage, I won’t do so. Frankly its necessary to do so. My only disappointment however is that residents are going to be hit simultaneously by increases from the County, District, Police Commissioner and in my case the Town Council, all in one go. (Note" Band D households in Thetford will be asked to find an extra approx £60 a year in Council Tax at a time of wage stagnation and decreasing living standards). It is clear that these are very deliberate tactics by the Government to shift the burden of funding services to Councils and to local people. Proposal: Breckland Council to review its localised Council tax support grant scheme and review the financial impact of providing 100% support for ‘working age persons’. Report to be brought forward to a future Full Council meeting. Without such a proviso, we would be unable to support these proposals as presented. 1. Budget amendment from Councillor Harry Clarke - Locality budgets: Several other Councils provide members with a locality budget whereby they can support community initiatives in their ward. The amount available varies per area, but in an authority close to me, namely West Suffolk, they make £2,500 for each member to spend in their ward on projects. Breckland is proudly a member led Council. This amendment would give all Councillors the opportunity to support community projects in their areas, assisting their roles as community champions. It would also help ensure every corner of the District receives support from the Council and would no doubt help lever in additional funds from elsewhere. Therefore Mr Chairman, I’d propose earmarking £98,000 from the underspend in this financial year for a one year pilot to establish locality budgets for all 49 Councillors. Amendment: Propose earmarking £98,000 from the underspend from this current financial year to fund a one year pilot to establish locality budgets for all 49 Councillors. 2. Budget amendment from Councillor Terry Jermy - Fairfields, Thetford: You will note in your report on page 88, there is to be £35,000 received by Breckland Council for the sale of land at Fairfields in Thetford. This has caused considerable concern locally as much used play space will be lost in an area with already limited play opportunities. I’d like to propose that rather than this money going into the general capital fund that it is ring-fenced for this area to be spent on a capital play project in the future to off-set this loss in play space and to help alleviate some of the considerable traffic concerns that exist. Amendment: Ring-fence £35,000 from sale of land at Fairfields for future play equipment project within the Fairfields vicinity and to help alleviate traffic issues generated by the development being allowed to proceed.